FOOTBALL: A missed penalty with 10 minutes to go proved the difference as Phuket FC lost to mainland neighbours Krabi FC on a wet and wild night at Surakul Stadium on Saturday (July 7). 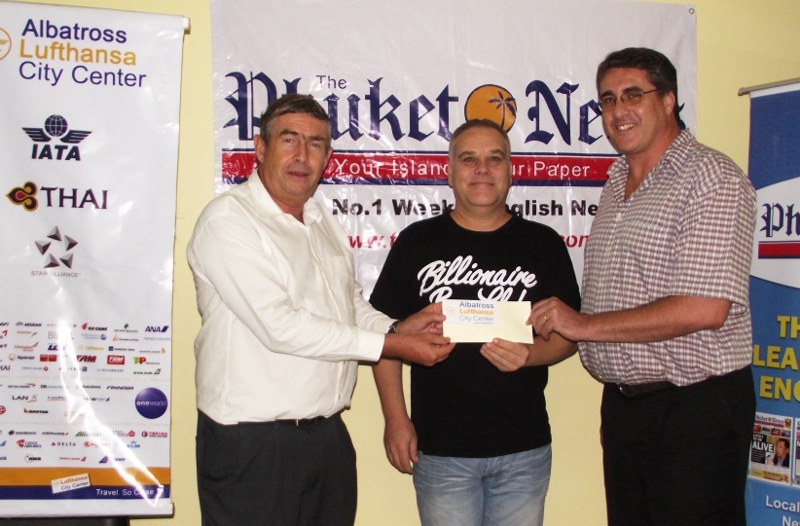 PHUKET: Some 2,500 runners are expected to join the Phuket Health International Marathon 2012 which will be flagged off at the Sarasin Bridge before dawn on July 29. SAILING: After the raging 40-knot winds of two weeks prior that left several boats – and a few sailors – physically damaged, glorious weather greeted the eighth and final race of the Ao Chalong Yacht Club ‘Irish Times’ series on Sunday (June 24). PHUKET: Chantaburi may have opened the scoring against Phuket FC tonight (June 24), but that was about as good as their visit to Surakul Stadium got. PHUKET: Patrick Gasiglia is like a kid before Christmas – he even says so himself. PHUKET: The small crowd at Surakul Stadium were unusually quiet when Phuket FC kicked off against Bangkok FC tonight (June 17). PHUKET: It may not have been the colour they were after, but few could have been disappointed with Phuket’s bronze medal in the boy’s cricket at the recent National Youth Games. 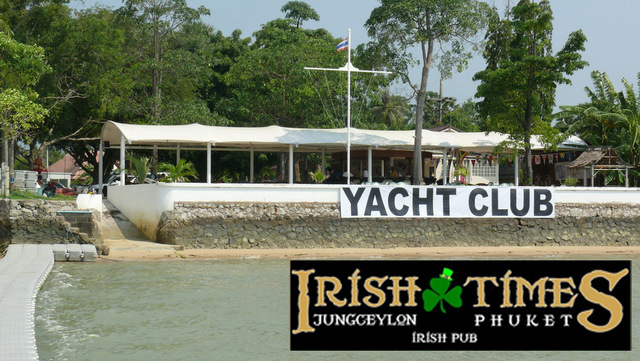 SAILING: A turbulent day was had by the three competitors who were brave enough to take a chance on the weather for the seventh – and second last – race of the Ao Chalong Yacht Club “Irish Times” series. 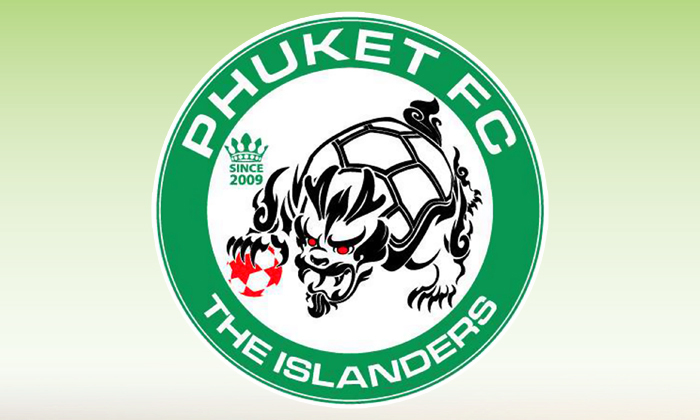 PHUKET: Phuket’s football club has a new look off the pitch, and it appears to be taking effect on the field too. 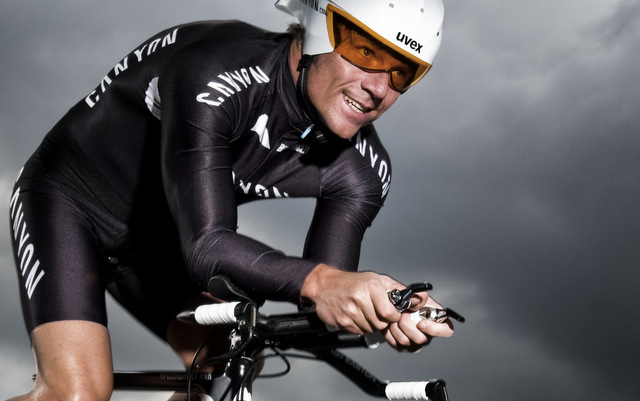 PHUKET: Ironman legend Jurgen Zack will be leading a SpiceRoads road bike tour from Bangkok to Phuket from September 8-15 this year. 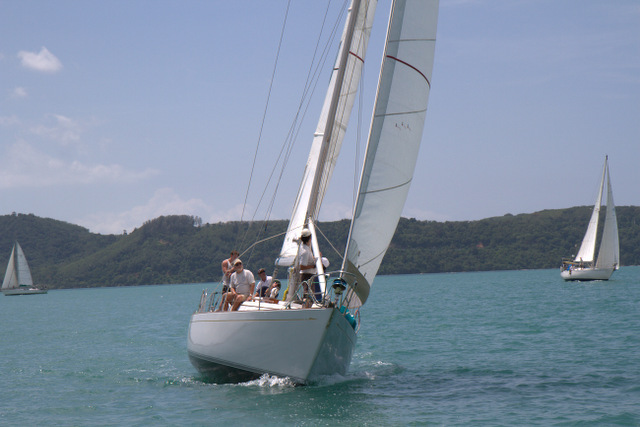 PHUKET: Following a recent merger, the Ao Chalong Yacht Club (ACYC) and the Phuket Yacht Club (PYC) have joined forces. 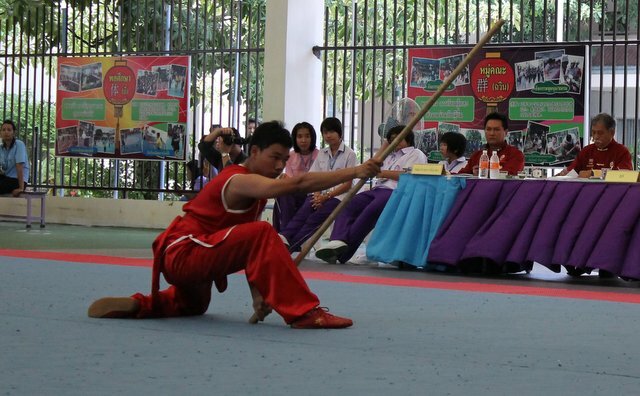 PHUKET: After a slow start to the competition, Phuket has bounced back to finish a respectable seventh out of 77 teams at the 28th National Youth Games. 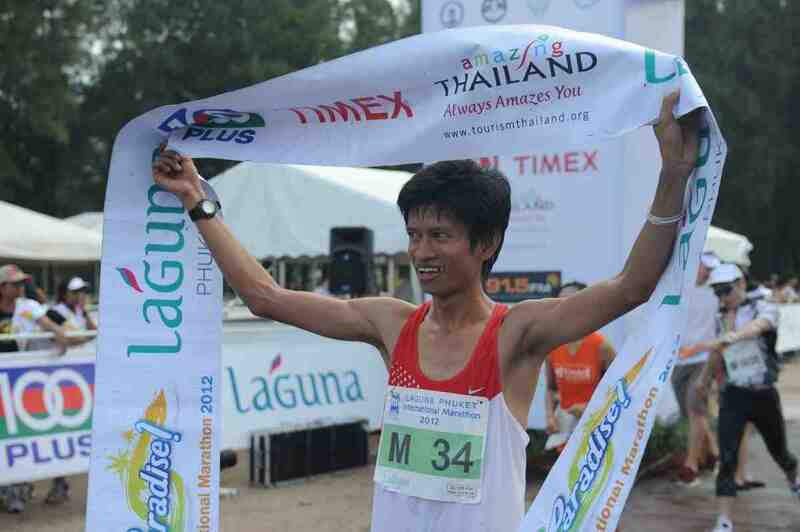 Thai newcomer Danchai 'Dan' Pankong of Surat Thani was the surprise winner of the Laguna Phuket International Marathon (LPIM) among a record field of more than 4,000 runners from 50 countries who raced a variety of distance courses in the seventh edition of the island’s ever-popular running carnival. PHUKET: The eyes of the footballing world may be on Poland this weekend for the start of Euro 2012, but one man at least is still celebrating Manchester City’s victory in the Barclay’s Premier League three weeks ago. 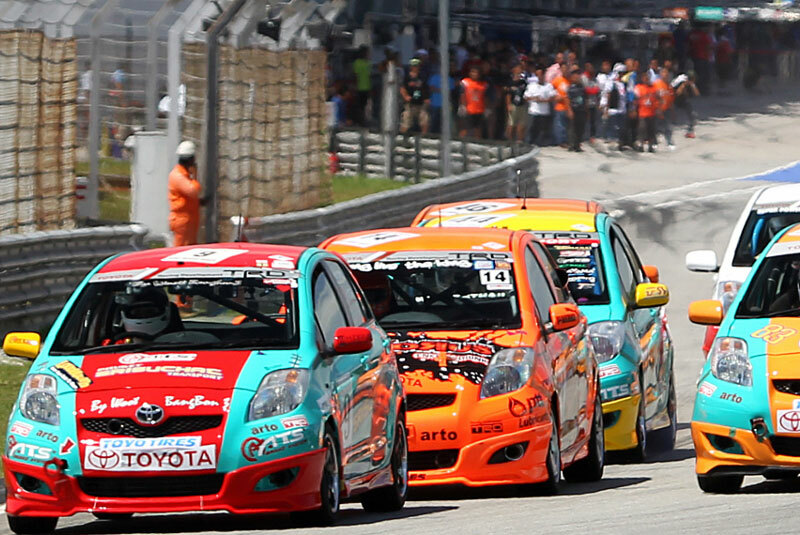 What a difference a day makes: In 24 short hours Phuket has jumped from 19th to 9th place in the 2012 Phuket Youth Games. 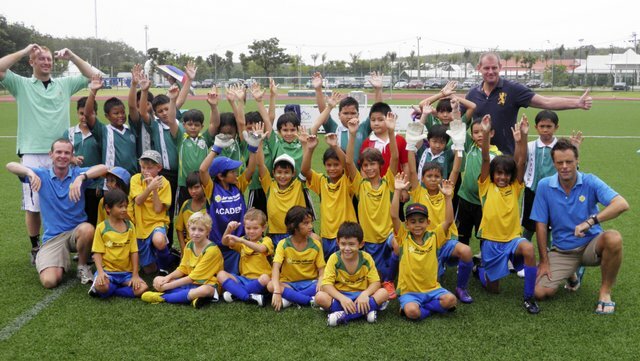 PHUKET: Last Sunday (May 27), Brazilian Soccer Schools Phuket (BSS) hosted a three team mini tournament at Thanyapura Sports & Leisure Club over three different age groups. PHUKET: Continuing their run of dreadful results, Phuket FC lost away to Ratchaburi FC in their latest Yamaha League Division 1 match, held at Ratchaburi Centre stadium on Sunday (May 27). PHUKET: Phuket nabbed a fourth gold medal in the Phuket Youth Games competition late yesterday afternoon, bringing the island to 14th place in the competition. PHUKET: Phuket bowler Somkiet Kraisombat has picked up a gold medal in the boys’ 10-pin bowling competition today (May 30), bringing the island’s medal tally in the Phuket Youth Games to 16.